They say it takes a community to raise a child, and in Singapore there is a huge range of resources to tap into that can have lifetime benefits. From sport to performing arts to play-based learning, take advantage of the experienced and enthusiastic educators engaging children in quality activities that are fun too. Here’s a selection of reader favourites. I first found out about Go Go Bambini when a good Italian friend of mine invited my four-year-old son Giorgio and me to a birthday party at their playground at Dempsey. It’s not only a conventional playground where kids can enjoy slides and castles. The staff regularly organise different activities, including dancing classes and cooking classes, and Giorgio always loves to participate in those activities. Go Go Bambini is a place I’ve chosen for Giorgio to spend time together with other kids, and do things to stimulate his imagination and his creativity. These activities have helped my child to learn how to work in a team. I’ve discovered that he responds very well by listening carefully to the teacher and trying to do a good job. He has realised, by himself, that following the instructions for an activity carefully always guarantees a good result. Go Go Bambini is a very enjoyable place, where children can spend quality time playing together, and parents can enjoy a nice coffee and socialise with others. In fact, I often invite other expat mothers to spend time at Go Go Bambini with me. After the first experience, they always return. I chose Camp Magic because it wasn’t just a ‘sports’ camp or a ‘theatre and music’ camp, but offered a bit of everything for everyone. Each weekly programme covers a different theme. This guides boys and girls, aged three to 12, through a story performance, music, a circus and variety of other activities. They all work together to create a show at the end of the week. The children engage not only the external five senses of touch, taste, smell, hearing and sight through art, craft, cooking and music, but through dramatic games and circus activities they also engage the internal vestibular system and body awareness senses that are responsible for balance and spatial orientation. 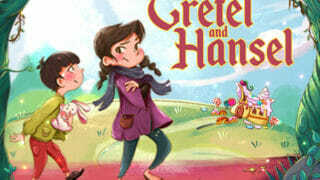 This is all tied together beautifully through the art of storytelling and theatre, and it appeals to kids of all ages. As an educator myself, I was thrilled to find a programme that offered such a wide spectrum of stimulation while encouraging the kids to use their imagination and creativity to have fun. My children have gone back to Camp Magic year after year from the ages of four to 12 years, and the staff feel like an extended family. I also loved the mixed age groups, as my children looked up to the ‘big’ kids when they were small and then enjoyed being the bigger ones themselves as they got older. My boys, especially Hari, have loved playing football from a very young age and played for their school when we lived in England. So it made sense for them to keep playing. We heard about JSSL through our friends whose son and daughter were already playing, and always looked forward to their games. They train three times a week and play league matches every other Sunday from September to April. It’s a big commitment for all of us. Some days we take our daughters to training sessions, and they are always ready to cheer on their brothers when they play. We wanted the boys to excel in football, and JSSL has given them the training to do this. They have really improved, not only in their football skills but also in their teamwork skills. Their training is varied with warm-ups, skill training, strength training, shooting and mini-world cup matches. They are never bored and have built up a tremendous friendship with the other players, too. I think this has really helped them settle into life in Singapore. The coaches and staff are friendly, welcoming and have nurtured the boys over the past three years. We would recommend JSSL as it’s professionally run and has a healthy outlook on the game and the players. They offer opportunities for both boys and girls of all age groups and abilities to play in football leagues and international tournaments. The boys have played in Hanoi, Bangkok, Kuala Lumpur, and Gothenburg, Sweden, and we, as a family, get the chance to follow their dreams.